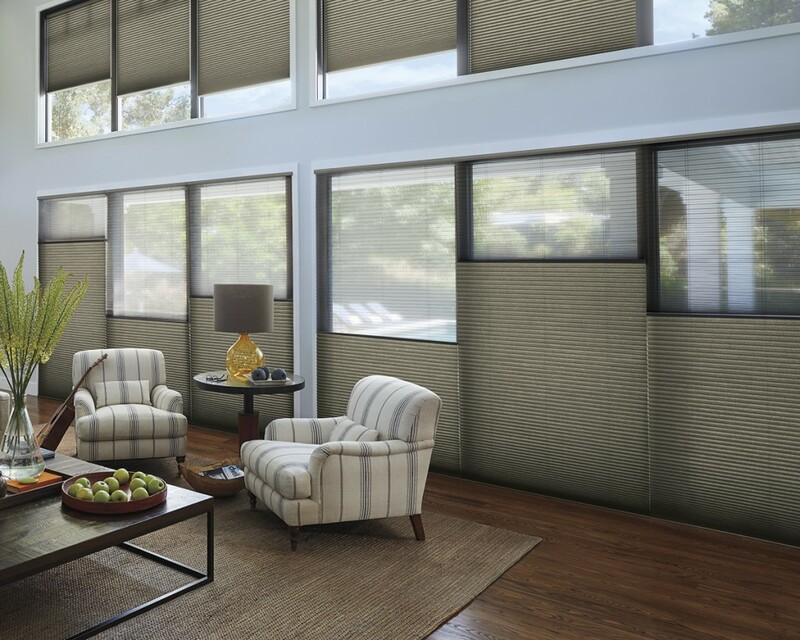 With a wide array of fabrics, pleat sizes, colours and textures, Hunter Douglas Duette honeycomb shades enhance any décor. 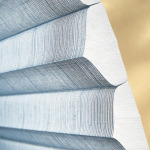 The newest innovation, the Architella Collection, offers luminous colours and true, crisp pleats. The state-of-the-art patented Trielle design, with three distinct air pockets, provides the highest level of energy efficiency. 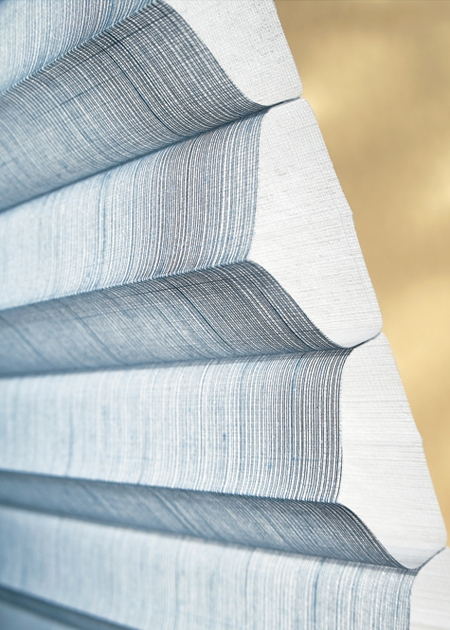 The Hunter Douglas Duette honeycomb collection has the most honeycomb constructions, opacities, colours, textures, prints and applications. 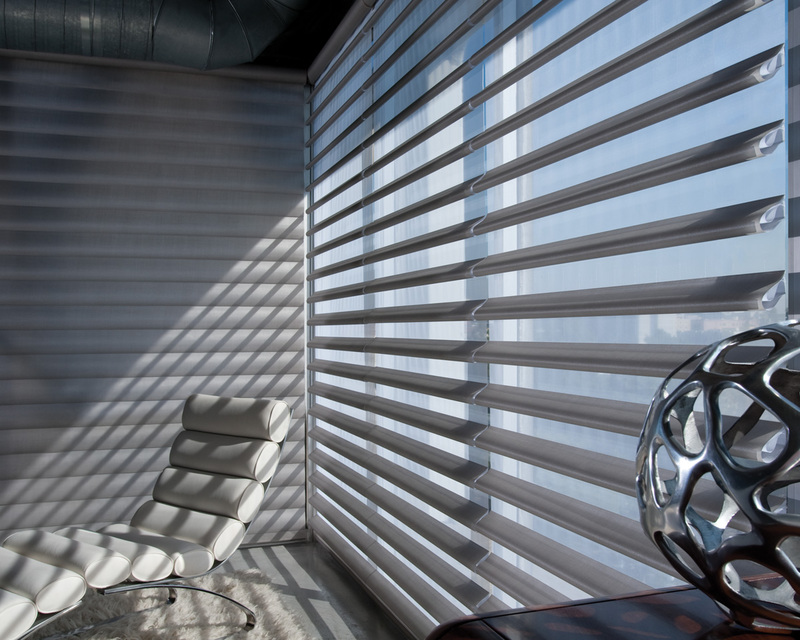 • Proprietary Architella construction provides the highest energy efficiency of any Hunter Douglas product. 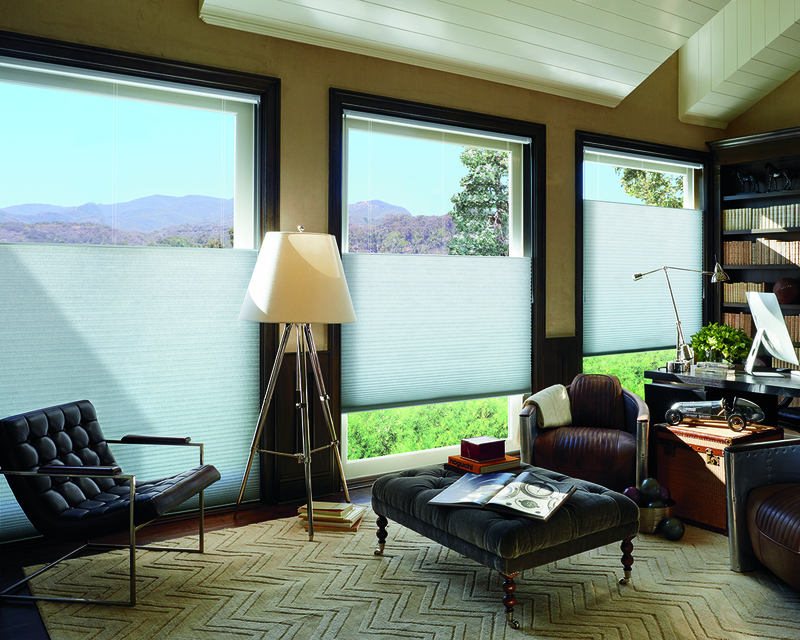 Hunter Douglas products are custom made to order, Hunter Douglas Duette Honeycomb Shades are available up to 174” wide. Please contact us for pricing and options. 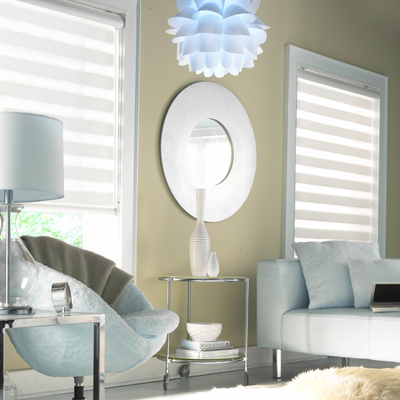 Categories: Honeycomb & Pleated Shades, Hunter Douglas. 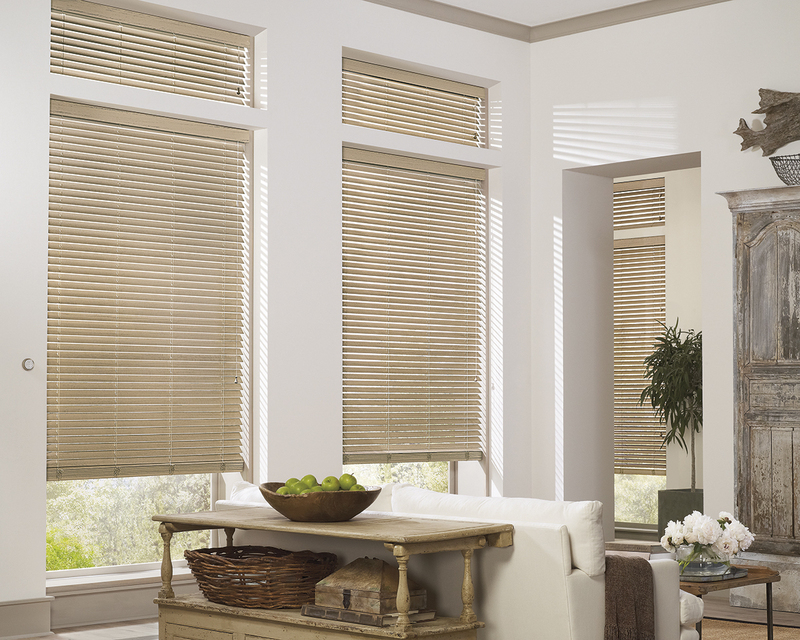 Tags: Duette, Honeycomb Shades, Hunter Douglas, Powerview, Window Coverings.